A few weeks ago you may recall I made a Wheat Berry Salad with Strawberries and Dried Cherries. It was my first time making wheat berries and I learned that a little bit of uncooked wheat berry goes a long way when you cook them! So I froze half until I could figure out what to do with them. I’m happy to report that freezing them for a few weeks worked just fine. 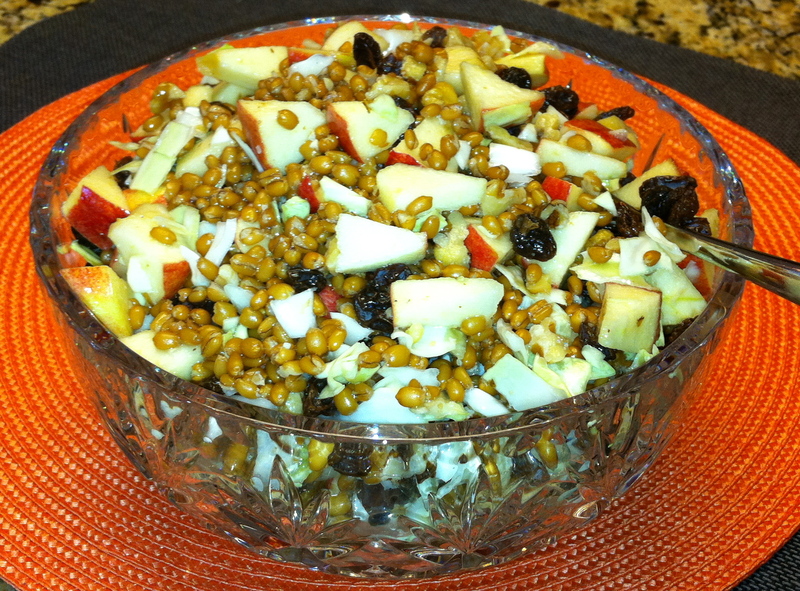 Growing up I always remember my Mom making waldorf salads, so when I came across this recipe that combines a traditional waldorf salad with wheat berries I knew it would be a winner! I adapted it from Whole Foods’ Wheat Berry Waldorf Salad. 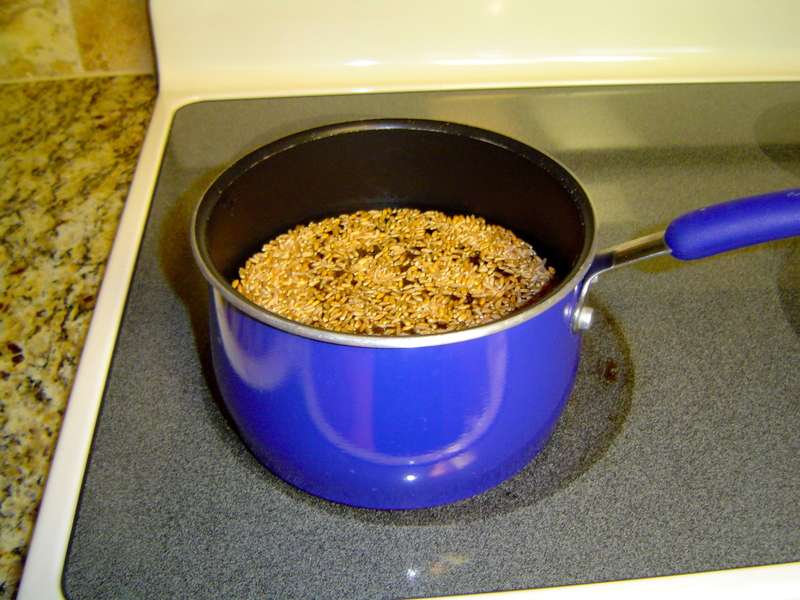 Place wheat berries in large pot and fill with water so there is approximately 2 inches of water above the wheat berries. Bring to a boil and cook uncovered for an hour or until tender adding extra boiling water as necessary. I had to cook mine for a little over an hour and used the kettle to add extra water as it boiled off. Drain off excess water and let cool. 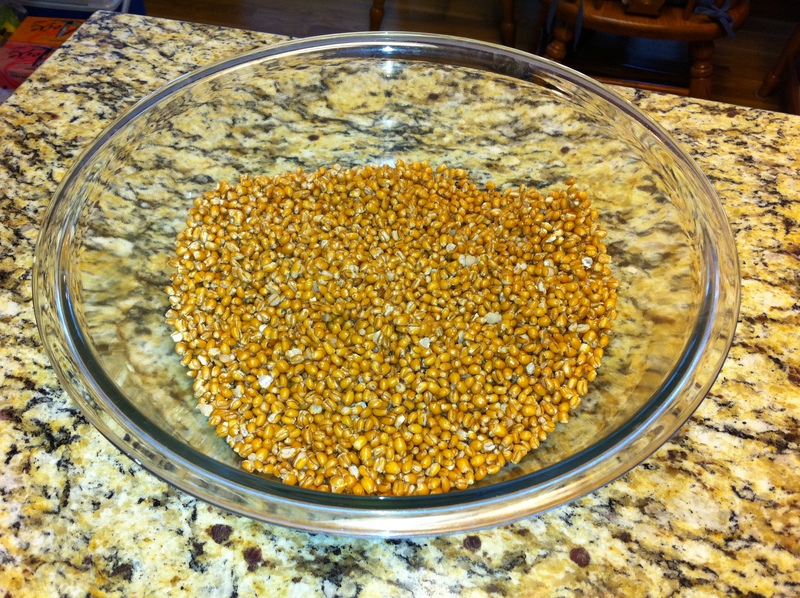 Place cooked wheat berries in a large bowl. 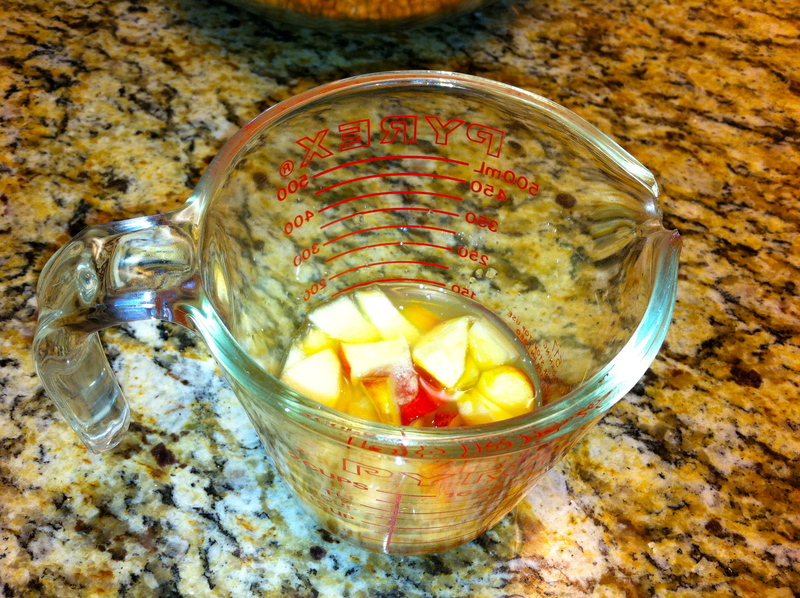 Mix lemon juice and apple juice together in a small container. Chop apples and dip them in the juice. The citrus will keep the apple from turning brown in salad. 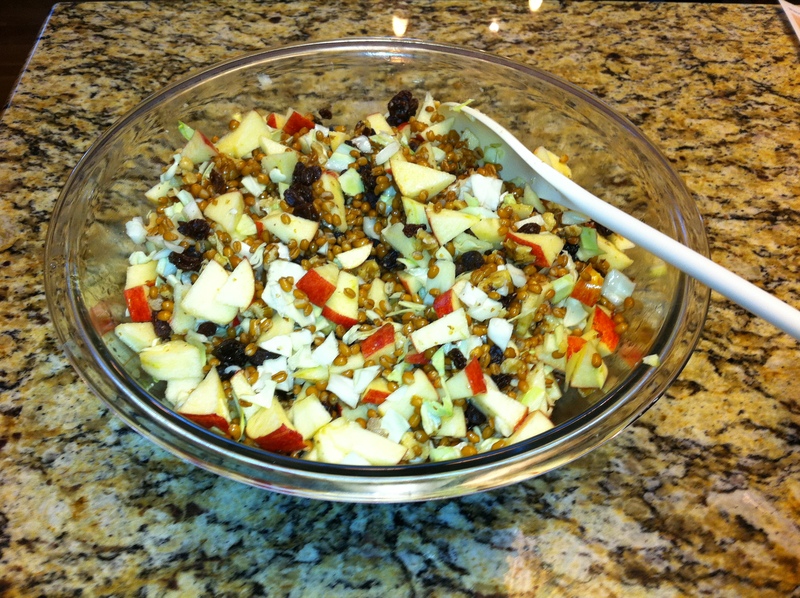 Add apple to the bowl with the wheat berries. 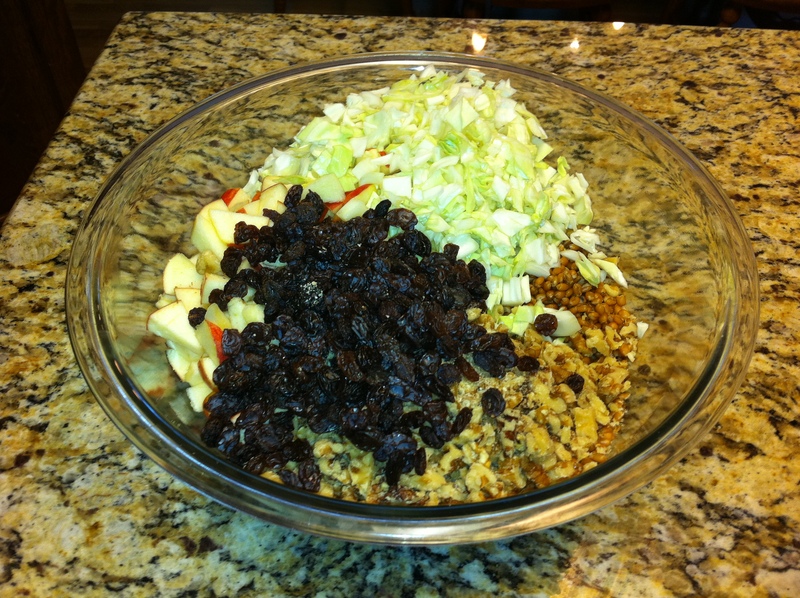 Add apples, walnuts, raisins, cabbage to the wheat berries and mix well. 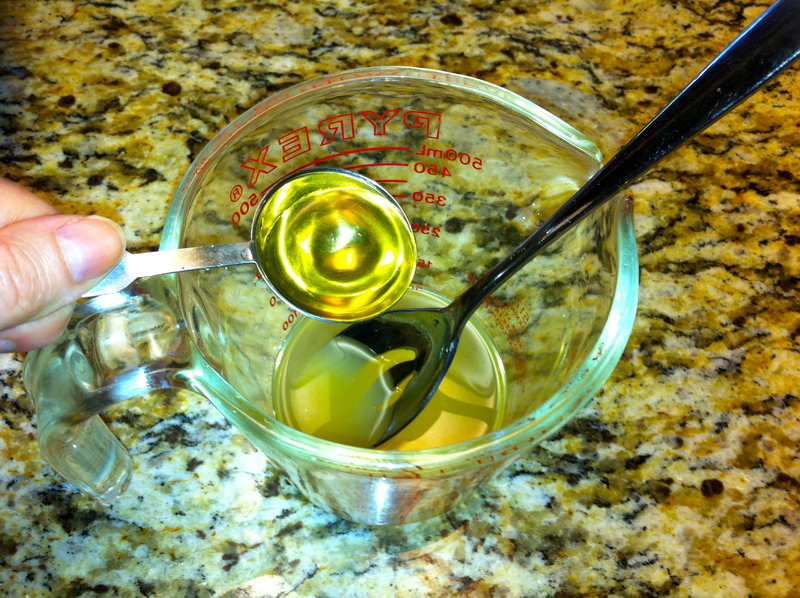 Add apple cider vinegar and olive oil to apple and lemon juice mixture and mix well. Serve in your favorite bowl!